Urban Coworking Spaces are facing a Schrödinger’s cat-like community. Next month a new coworking manager starts at St. Oberholz. Right after my vacation, I will train him on site. I don’t know exactly what to say about our member community yet. It seems that we don’t have one member community, but several different member communities exist parallel to each other. And that we don’t have a member community at the same time. It’s almost like the thought experiment of Schrödinger’s cat. I believe that from a certain size it is typical for a coworking space to have different member communities in one place. Not all members will always feel the same about the coworking space and be involved. Besides, teams in a coworking space are already a community of their own. The coworking space is often only an infrastructure for this group. But I’ve also seen teams that have been very involved in the member community. The member community is characterized primarily by the fact that they are registered members. I know their names and have their contact details. If I want to inform them about an event, I can reach them. If they come by is another topic. Of the more than 200 members of St. Oberholz, about 15 to 20 percent come to events. Compared to other coworking spaces that I have talked about, this ratio seems reasonable. If we organize public events that are not only for members, more people come than to our members-only events. The St. Oberholz brand is well known in Berlin and reaches people who are not part of our member community. Classic community management of a coworking space only seems to make sense for us in combination with brand management and event management. It is inspiring to be more than just a place. Non-registered users are becoming more and more relevant. A year ago we converted the first floor of our café at Rosenthaler Platz into part of the coworking space. More and more people wanted to work from our coworking space without becoming members. But we couldn’t just let these coworking guests into the coworking space spread over three floors above. But the first floor was ideal for this – separate from the members’ area, but manageable from the café. We offer hourly tickets (4 EUR) and day tickets (15 EUR) there. At the same time, our members with a Basic Membership sit there. The coworking guests accepted our new offer very quickly. It was made for them. Meanwhile, the turnover from the unregistered coworking guests is about as high as a considerable number of classic memberships are worth. It has the effect that user behavior has changed and more flexibility is required. 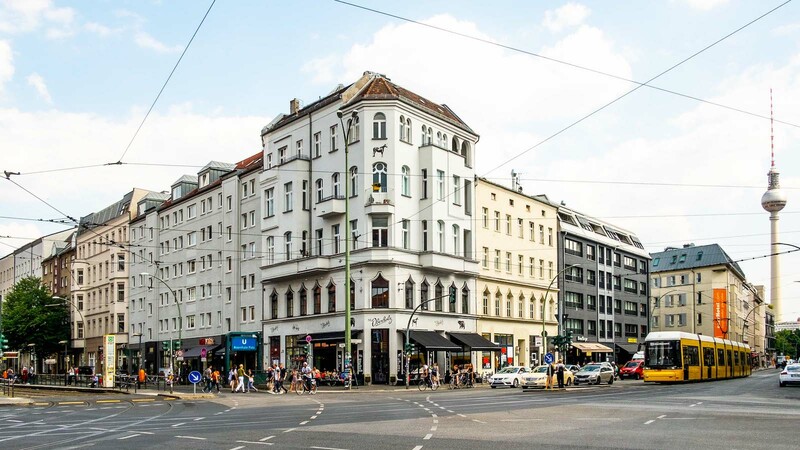 Since the coworking guests rarely come back or only visit irregularly, there are not 40-50 people more spread over the month, but rather 200 to 300 people who use the St. Oberholz as coworking space. But these people are not registered, we don’t know them and can only contact them directly on site. They represent a non-community that exists at the same time as other communities in St. Oberholz. Like Schrödinger’s cat. This flexibility is still an urban phenomenon. Very few coworking spaces that I have spoken about recently pose similar challenges. In small and medium-sized cities, fixed desks are often the most popular option. In St. Oberholz, we haven’t had any demand for them for over two years, we only offer hot-desking options. Also, the high request for flexible access to coworking, without membership, seems to be found just in the center of metropolises. A coworking space is always characterized by its neighborhood. Coworking space in a residential area will have a very local community. These people have become members because the coworking space is close to their home. The Rosenthaler Platz, where St. Oberholz is located, is a pulsating place. Many people pass by here who at least live here. That’s why we have a lot of spontaneous walk-ins. I have to admit that I am still not sure what conclusions I should draw from this observation. What does community management mean in a place where half the people don’t want to be part of a member community anymore? These people don’t want to be alone at work, they appreciate the lively environment of the coworking space. But they are not involved in the member community life. In 2019 I will try to find an answer to this question. What makes me more productive at work? Sounds. What is this coworking anyway?